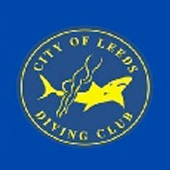 The G-Star Diving Championships 2019 will take place at John Charles Centre for Sport in Leeds from 14 – 17 March. Events will be contested in Group A/Senior (16yrs+), Group B (14-15yrs), Group C (12-13yrs) and Group E2/D (9-11yrs) age groups. There will also be synchro events. Pairings will not be required to be from the same club. The initial entry deadline is Sunday 2 February, after which there will be an additional £10 late entry fee per event. The final deadline is Sunday 24 February.